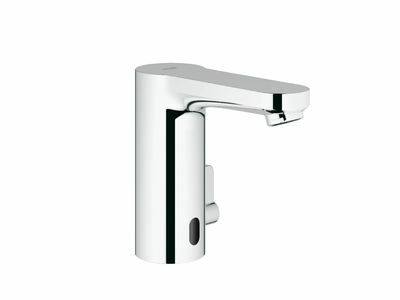 The keyhole shape of the spout gives the Eurosmart Cosmopolitan E range its distinctive look and is repeated on the temperature control lever. Another key feature is the seamless transition from body to spout, which ensures maximum hygiene and easy cleaning. Efficient technology means that water and energy are consumed only when needed. The thermostatic protection available for wall faucets is a particularly smart and effective solution.